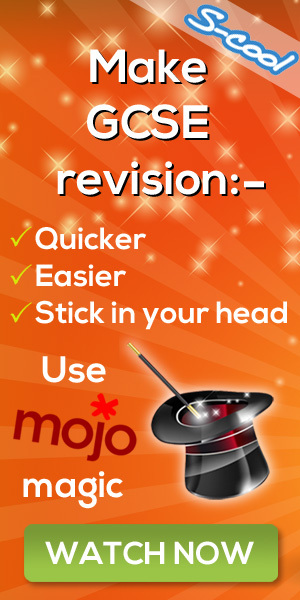 Want to revise over the Christmas holidays without really working? The team at MyTutor have put together a list of their favourite films that you can also count as revision. As the evenings get longer, the weather colder, and the smell of pine and warm mince pies becomes ever more present in our homes, school can seem like a distant memory. It’s likely that you’ll want a break from textbooks and homework after a busy term, and indeed that’s what holidays are for. But of course, studying isn’t the only way to learn, and we can have some of our most profound breakthroughs with a subject simply by igniting a new passion for it, or viewing it from different angle. With that in mind, and while the conditions are perfect for it, why not snuggle up to a good film or television show that explores your favourite subjects in ways you didn’t expect this Christmas? For those of you studying Romeo and Juliet this year, try Baz Luhrmann’s electric interpretation of the story in his Romeo + Juliet. Though heavily cut down in places, the film manages to use Shakespeare’s original language whilst placing the tale in an utterly believable modern context. If that doesn’t whet your appetite, have a watch of Jerome Robbins’s West Side Story, an all-singing, all-dancing tale of warring teen gangs in 1950s Manhattan, based on the same tale. If it’s Twelfth Night you’ve been working on however, try your luck with She’s the Man - a modern take on Shakespeare’s gender-bending story, where Amanda Bynes disguises herself as her brother in order to land a place on the school football team. If it’s Jane Austen you’ve been reading, we have some favourite adaptations we’re sure you’ll love. The BBC’s 4-part costume drama Emma is sure to please, as is their Pride and Prejudice starring Colin Firth. But for those of you hankering after something a bit different, try Whit Stillman’s Love & Friendship, based on Austen’s novella Lady Susan; though technically a period drama, the wicked sense of humour and delectable costume give this film a modern feel that demonstrates just how diverse and creative literary adaptations can be. Biologists, if you haven’t been watching Planet Earth II already, now’s your chance to catch up. David Attenborough is back with more charming animal stories, shot in HD for the first time in the show’s history with iridescent success. If Physics gets you excited on the other hand, why not choose from the reams of wonderful space-movies that have come out of the past decade? We’re thinking The Martian, Gravity, or even Pixar’s Wall-E.
Philosophers! The past few years has seen lots of beautiful, mind-bending movies that will make you think. Take a look at The Matrix, Ex Machina or the recent series of Humans on Channel Four, for considerations on Artificial Intelligence and its impact on our conception of humanity. The best way to learn a language is to immerse yourself in both it and the culture it springs from. What better way is there to do this from the comfort of your own sofa, than to put on your favourite foreign film and hear it told in its original language (subtitles are optional…)? For French learners, try Amelie, an explosively imaginative story of a young Parisian woman with a passion for helping people; and remember you don’t need a French dictionary to enjoy Yann Tierson’s exquisite soundtrack. If you’re studying German, have a watch of Goodbye, Lenin! In Berlin, 1989, a young man’s mother falls into a coma - when she awakes the following year the world as she knows it has changed: the Berlin Wall has fallen and the GDR collapsed. In a bid to protect his sick mother from shock, Alex desperately recreates 1989 Berlin in her small flat. This is a great film to watch if you’re looking for a quirky window into recent German history too. If you’ve been tiring of facts and dates, triggers and trends, there’s nothing like the British classic comedy The History Boys to offer some perspective on what you’ve been studying. Based on Alan Bennet’s hugely popular play, the film follows 8 smart working class boys as they attempt to get into Oxbridge and go on a journey they never bargained for. If there’s one film in the world that will illustrate the importance of an education beyond books alone, it’s this one, and what a film to end with! If you are revising over Christmas and you could use a helping hand than you’re in luck. MyTutor helps you find a tutor who knows what they’re talking about. They’ve recently taken the same exams as you so they know the pressures you face, and they’ve got all the answers to help you achieve your exam goals. You can meet your tutor for one-to-one online sessions whenever you need help: you don’t even have to leave your house. You’ll also get a free recording of your online tutorial to play back later for revision. S-cool has teamed up with MyTutor to offer you the best deal on the internet - a one-to-one tutorial completely free of charge. Just sign up at MyTutor.co.uk with the promo code SCOOL.